Goldilocks and the Three Bears is a classic fairytale, which has several different versions that bring out different aspects of the tale. You can decide whether to have a happy, reconciled ending, with Goldilocks learning the error of her stealing-ways and making an apology and amends, or have the bears chase her off! Whichever version you choose to pass on to your children, the story offers many educational avenues to explore. Oral storytelling is so important to our culture and to the development of children’s language. As we re-tell familiar tales we practice speech, vocabulary, fluency, confidence, and sequencing. Goldilocks is also a fairytale which pairs well with a playful maths lesson, as we explore the concepts of big and small, and matching sizes with characters. And we can talk about the morality of the story, asking the children what they think about Goldilocks’s choices and what they would have done in her circumstances. 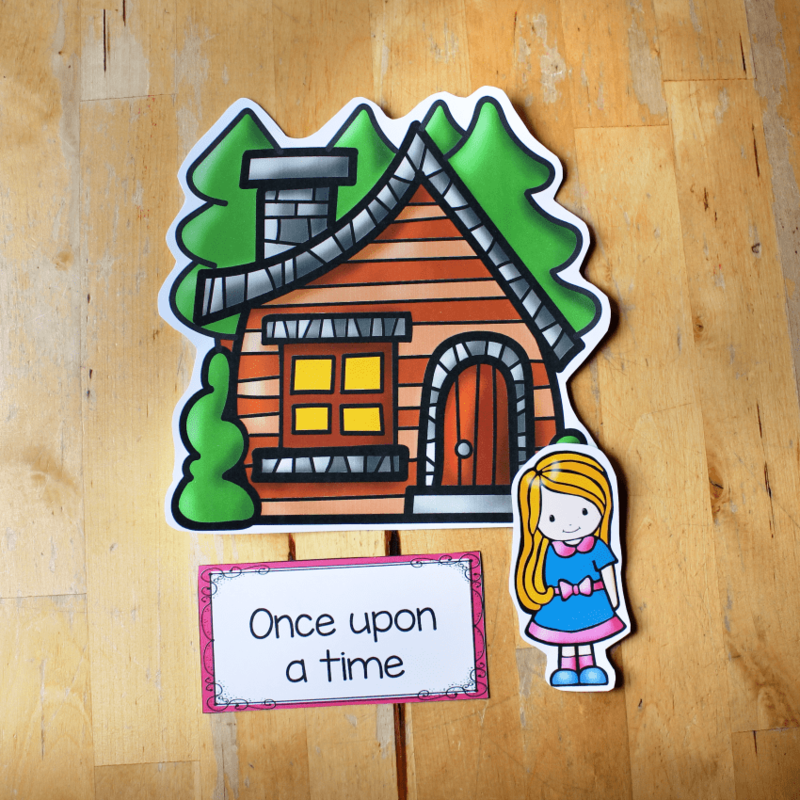 You can use these free Goldilocks printables to explore all the ideas. 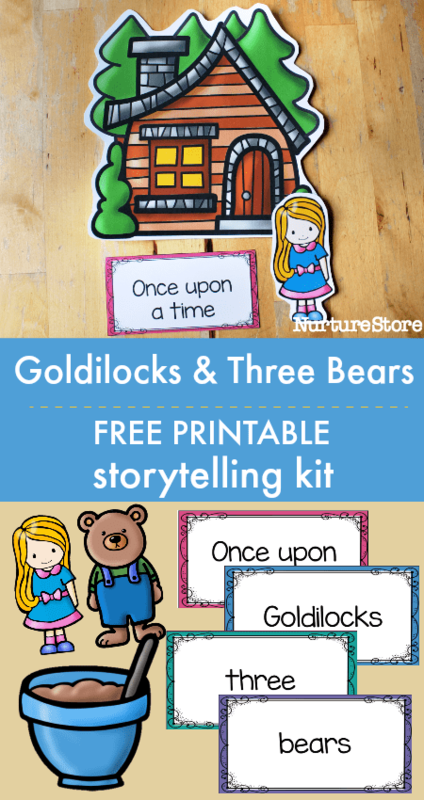 Print your Goldilocks and the three bears kit onto card, cut them out, and play. You can laminate them for extra durability if you like. Hi Sheila. This printable is free to all NurtureStore subscribers. Please follow the instructions above if you’d like to get a copy.